What Is Civil Litigation? When two or more parties become embroiled in a legal dispute seeking money or another specific performance rather than criminal sanctions, civil litigation is the result. They must instead head to the courtroom for trial so a judge or jury can decide the matter. 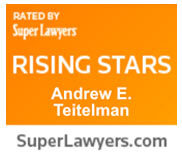 A lawyer who specializes in civil litigation is known as a “litigator” or a “trial lawyer.” Andrew Teitelman represents clients across a broad spectrum of associated proceedings, including pretrial hearings and depositions, as well as arbitration or mediation before administrative agencies or court personnel. Arbitration and mediation are processes that attempt to guide the parties toward settlement without the time and expense of going to court. 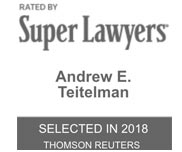 At Teitelman Law, we handle civil litigation matters from beginning to end – often seeking a resolution prior to heading to court. If we are unable to resolve the dispute outside of court, we discuss available options with our client, advise as to the pros and cons of litigation, and work hard to achieve the best possible result. Contact us today by calling 503-659-1978.